My last day in England was spent in and around Oxford’s magnificent Christchurch College and Cathedral. To whet my appetite, we started the day at the Ashmolean museum. The airy, multi-story building has a bit of everything, from a full-size Egyptian royal mummy and burial chamber almost 3,000 years old; to the ceremonial robe of Powhatan (father of Pocahontas), the powerful Virginia Indian chief who greeted the English when they first settled Jamestown in 1607; to the robes and sandals of T.E. 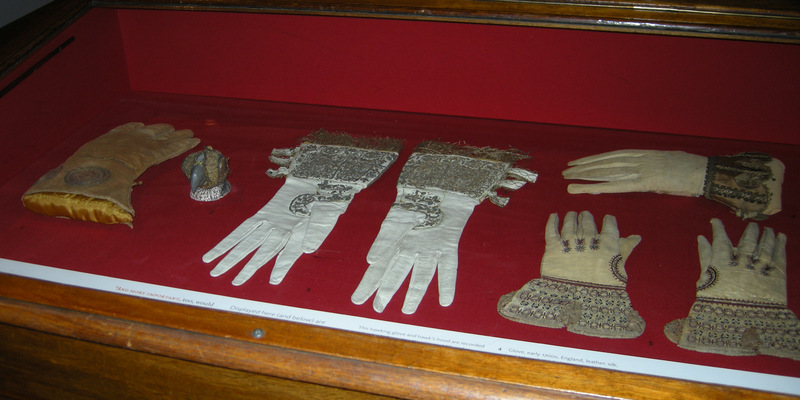 Lawrence (“of Arabia”); to a case with gloves actually worn by, from left to right, Henry VIII, Queen Anne, and Queen Elizabeth I. And so it was on to Christchurch, where the entire trip came together. Notable Christchurch College alumni include William Penn; John Locke; John Wesley; King Edward VII; 13 British prime ministers, including William Gladstone, Robert Peel and Anthony Eden; Lewis Carroll; and the Winklevoss twins (co-founders of Facebook). But let’s start at the beginning. Named after the Saxon patron saint of Oxford, St. Frideswide was established as a priory of Augustinians in 1122 under England’s Henry I. Remember King Henry VIII and the Dissolution of the Monasteries (and other vast church holdings)? In 1525 Henry’s ultimate fixer Cardinal Wolsey grabbed St. Frideswide’s and adjacent religious lands so that he could found a new Oxford college, modestly called Cardinal College. He even had Henry’s personal carpenter construct the ornate roof. After Wolsey fell from power in 1530, King Henry VIII took over the new college, renaming it (again, modestly) King Henry’s College. 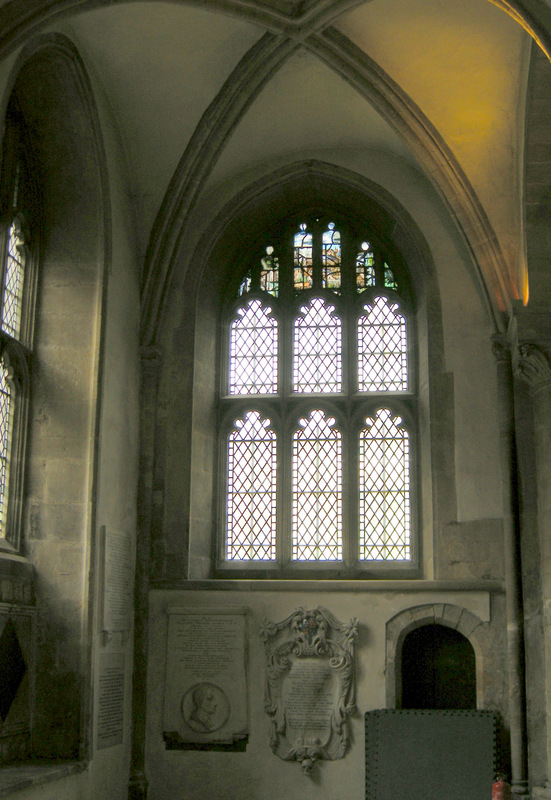 The surviving portion of the old church became the chapel for the new college; after Henry broke from Rome and organized the Church of England, he renamed the college Christ Church, and grew the chapel into the area’s cathedral, also called Christ Church. Its nave, choir, main tower and transepts are late Norman. It’s one of England’s smaller cathedrals, and if a huge stone building can be called cozy, this one is, especially when compared to the stupendous Canterbury Cathedral. King Charles I made Oxford his military headquarters during English Civil War, and convened his Parliament in the Cathedral in 1645. Still later, when the Puritans stormed through southern England, they smashed as many of Christchurch Cathedral’s stained glass windows as they could reach. I saw the clear windows that replaced the vandalized ones—with the original small colored ones way on top, where Puritan rage couldn’t reach. And in between Henry and Charles? Back out on Broad Street, a yellow-brick X marks the place where Thomas Cranmer (legal architect of the Church of England) and other Reformation leaders were executed by the Catholic government of Queen Mary in 1556. 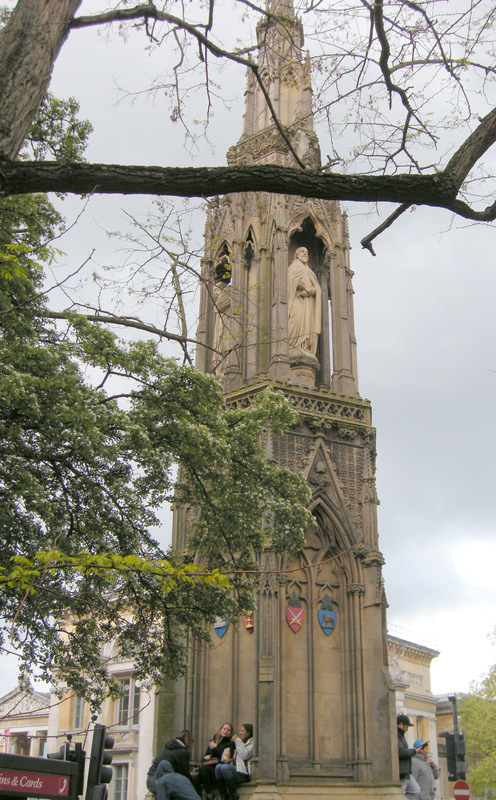 A hundred yards away is a memorial to the martyrs erected by the post-Mary Protestant government. Especially in England. 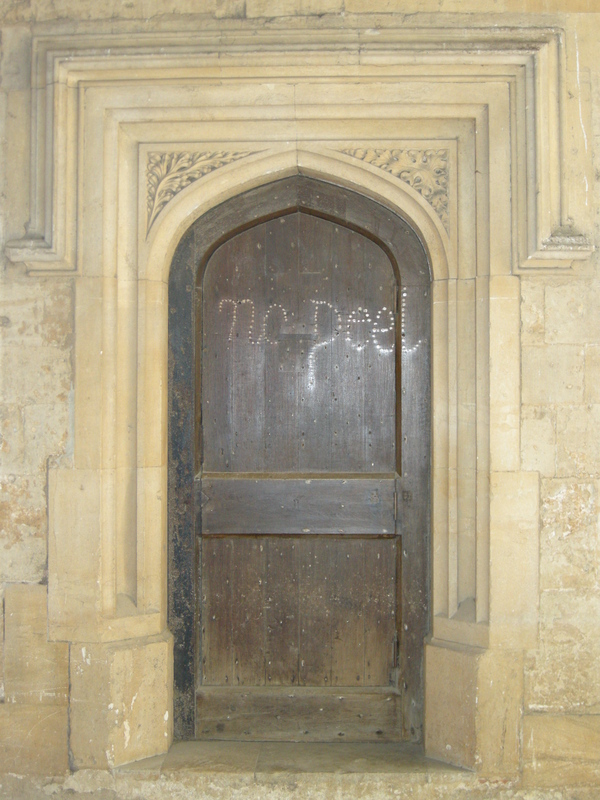 Here’s graffiti near the Christchurch College dining hall–“only” 1.5 centuries old. It was a protest against Prime Minister Peel’s proposal to accept Catholics as full citizens. 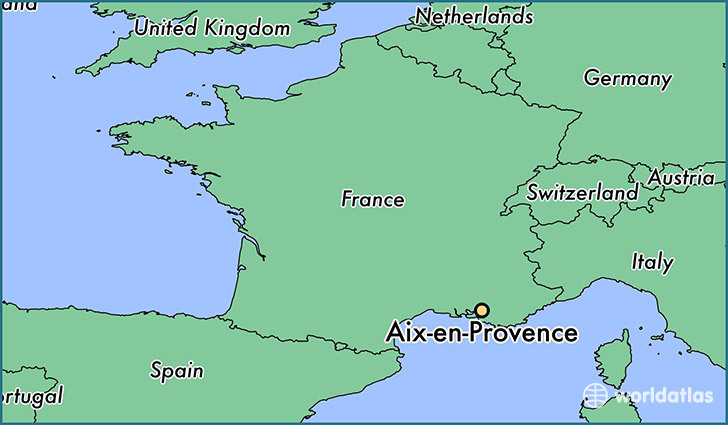 This entry was posted in architecture, English history, medieval history and tagged cathedral, dissolution of the monasteries, reformation, stained glass. Bookmark the permalink.